Well, the time has come. 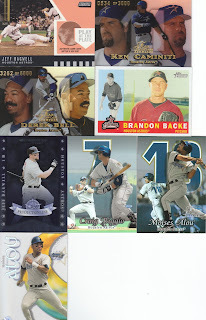 Today I received my promotional box of 2012 Tri City Sports PL Diamond Cuts Baseball. 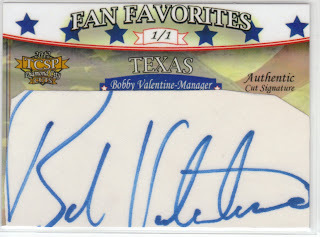 Well, there's the Bobby Valentine 1/1 Cut autograph. I was wrong in the video, we do have a winner!!! This means that TheBrooklynMet is the winner of the contest! Congrats! He correctly guessed the "Dodgers - 1960's" and according to BaseballReference.com Bobby made his playing debut in 1969 (5 games total) for the Los Angeles Dodgers. I'll be getting you more information ASAP on how to claim your prize with TCSP or TCSP will be contacting you directly. And here is the stamp card that is the second of two cards within the product. Alright, so I was also requested to do a product review along with the promo box. 1) Overall Look - There are several ways to look at this. I'll start with the basic design of both cards. In and of themselves, the actual design isn't too shabby. I like the picture and fonts used on the stamp card, and even the layout of the stamp card is pleasing to the eyes. On the cut autograph, the actual design above the cut signature portion has a decent look with the American flag in the background and non-disturbing font selections. Although I would say the font used for the "TEXAS" is a bit too thin and rather than an outlined lettering, it would look better as a solid block lettering rather than white with black pencil borders. As for the actual inserted items, the stamp is a nice clean stamp with a consistent fringe around the edge. As for the cut auto, well that's where I have to be honest and say that the auto they selected to be part of this card is just too dang big! They had to cut off part of the actual signature (on both names) in order to fit it on the card. Additionally, the stock used for the card is rather flimsy, thin and just not that high of quality. Basically both cards have been laminated and cut from the lamination sheet. This is in sharp contrast to the framed, thick cards from last year's edition of Diamond Cuts. Additionally, the way that the auto is cut from the white cardboard it came from, well leaves a lot to be desired aesthetically speaking. In this blogger's opinion, some uniformity around the edges (if a cut auto is going to be done in this manner) is very pleasing to the eye, and even if that means leaving some open white space on the card, at least give us some symmetry! Finally, as stated earlier, this auto has been lopped off at the top, bottom and sides. The whole purpose of the cut autograph is that you get the whole autograph, right? 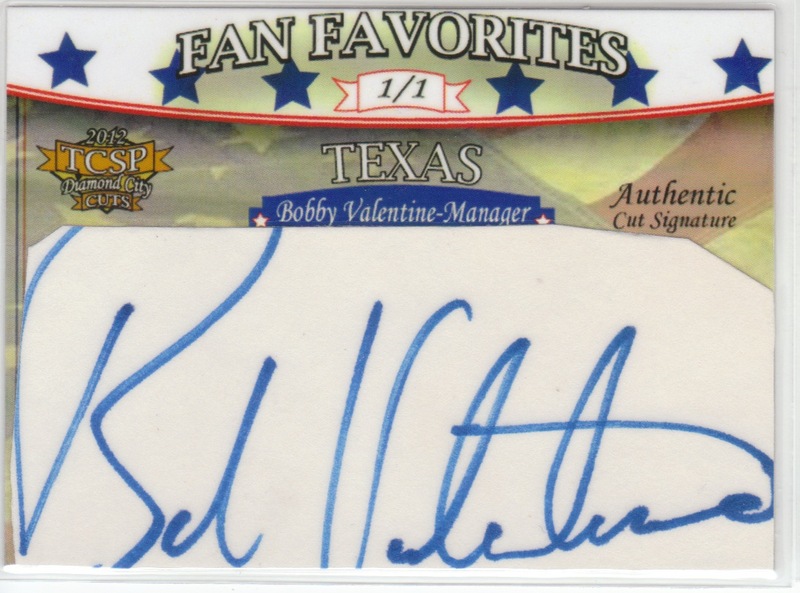 2) Quality Of Card Subjects - Bobby Valentine is a well known name, both in the States and in Japan. As the now current manager of the Red Sox, I'm sure this card may have a decent level of appeal. 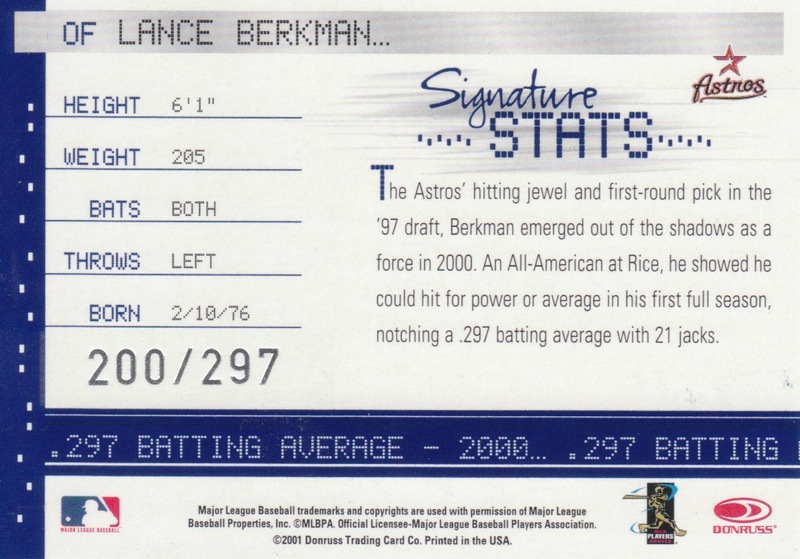 However, as a 1/1 subject in the set, I don't think his name justifies the lofty status of being a 1/1 cut autograph. As for the stamp, the stamp card is more of a throw-in on the box level, it doesn't add tremendous collecting value so it doesn't really matter what the subject of the stamp is. 3) Overall Value - Considering that this box was free to me, it was definitely worth the opportunity to open and see what Tri City Sports PL is able to offer in this years product. That being said, compared to last year's product and other cut autograph products, I don't think this years set is going to hold up very well. Even with a 1/1 autograph, there would be little chance that if I paid full retail for this box that I'd be able to even break even with value. However, if you do happen to get lucky and get one of the redemptions (including the World Series tickets) you could do pretty well. So, basically like most cut autograph and signed product releases, this turns into a high priced gamble to take a chance at hitting one of the redemptions or one of the more limited cut autographs of truly HOF or legendary players. 4) Collecting Influence - Will this be a set collectors go after to either complete a set or amass a collection? I don't think so. I think this will be a curiosity buy, and for that matter it will most likely have to be at a price reduction from the suggested retail price. 5) Overall Rating - I'm going to have to give this box/product 1 out of 5 stars. It just doesn't add up to a great release. The card stock is way too thin, the lamination of the cards just comes across looking cheap and leaves a shine on the card that is really undesirable. The actual autograph here was WAY too big for the card and should have never been used if it meant cutting off edges of the actual autograph. Overall, I don't know if I'd spend money on buying this product myself. I could see some appeal to box busters who aim to win the main prize or other "jumbo" prizes, but at what cost? I don't see where this product fits in amongst higher quality releases of Cut Autograph products that include not only high quality subjects, but actual hard slabbed and authenticated autographs. The stamp card does not add value to the box, and I think they will be hard pressed to find actual collectors interested in these cards. Well, that sums up my opinion and review of the box/product. Am I wrong? Please feel free to share your opinions and reviews. Would you buy this product? At what price? Do you think it will find a big audience in America? How do you think it stacks up against other Cut Autograph products? First up is Greg over at Plashke, Thy Sweater Is Argyle. To say we are frequent traders would put it mildly... I think this is our 7th or 8th at this point... getting ridiculous but we just keep finding cards for each other! Here's my loot! 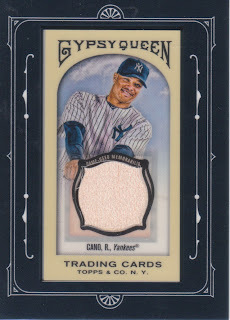 A Gypsy Queen Mini to be added to the collection!!!! YAY!!!!! 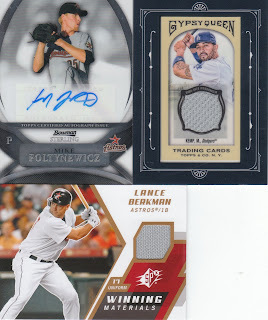 Plus a Berkman Jersey I didn't already have and another auto of draft pick Foltynewics (don't ask me to pronounce that). Thanks Greg and keep the great cards coming! This here is a bargain for me! I snatched it off eBay when I noticed the seller had it up for BIN $2.50!!!!! 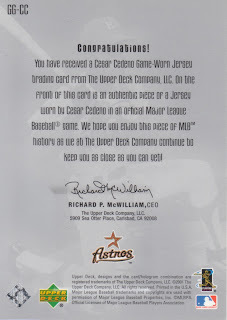 Most of these Cano relics are being listed at $25.00 and the lowest I had seen one go was for $10. Anyways, I got lucky! The list is dwindling... I just need to find a blogger who has a Gehrig and Ruth, and then find a way to blackmail them into trading it to me... muahahahaha!!!! Finally, the good man Jim over at Garvey Cey Russell Lopes contacted me about a slew of 1978 Topps that he had pulled for me. Seriously, this knocked my remaining want list in half! If you have a chance to trade, do it! He will hook you up!!!!!!!! Group Break goes live tomorrow! Be prepared to claim your team via the comments... I foresee this one filling up FAST!!!!! 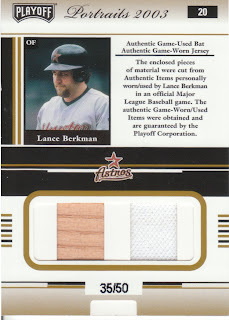 It seems that a lot of the cards I really like in my collection, for whatever reason, come from my Lance Berkman collection. Today, you get another Lance to observe! 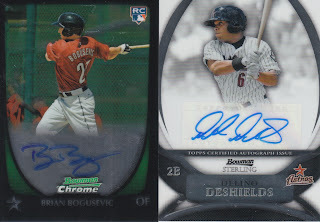 I don't think I own too much from Donruss Signature Series, but I wish I did! 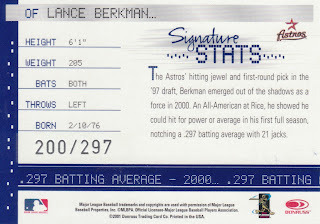 This one, from 2001 highlights Lance's .297 batting average, and wouldn't you know it, they numbered the card /297. It's a nice signature, albeit on a sticker. But these days the stickers are the rule, not the exception and I guess it's time that we grow accustomed to them being the preferred means of signing. 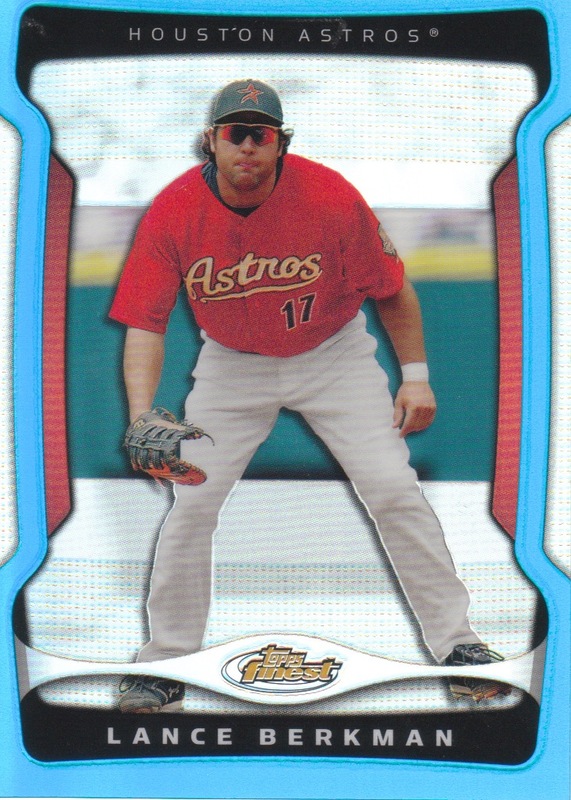 Donruss had a good idea though, if it's going to be a sticker, at least place it on a nice refractor-y background that's actually imbedded in the card. I've found Berkman autographs to be almost as scarce as Biggio but no where as hard to find as Bagwell. 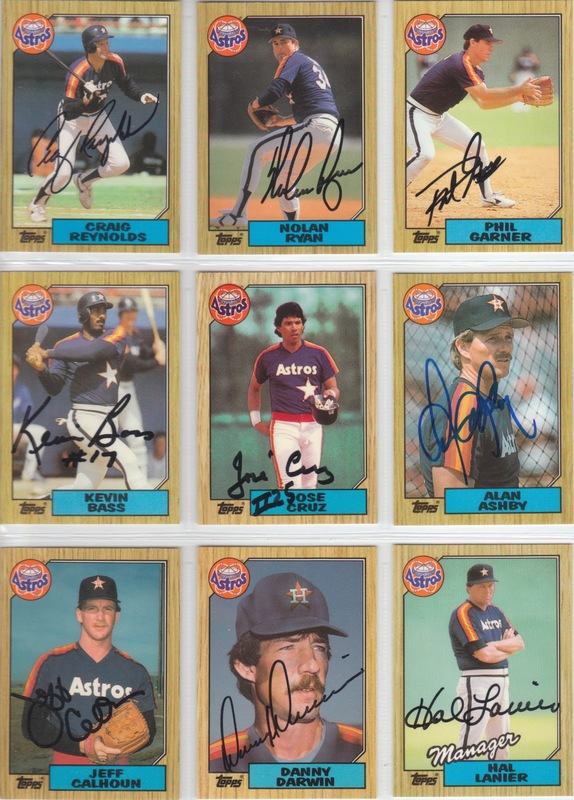 So, as you all have been informed, my wife and parents teamed up to get my an all-access pass to the 2012 Tristar Show, which got me in the gates early as well as got me autographs from all 18 Astros present at the 1986 NL West Division Champ Houston Astros Reunion! Pretty remarkable considering that 2 member have already passed from the 25 man roster... getting 17 (plus the manger) out of 23 remaining together in one weekend (and at one point, in one room) is a once-in-a-lifetime occasion in my opinion. Well without delay, here are some pictures! Before the Astros got started, that's the legendary Jim Brown signing a football. While I wasn't able to get up close and personal with many of the non-Astros guys, we were always within camera shot. First up is Craig Reynolds. 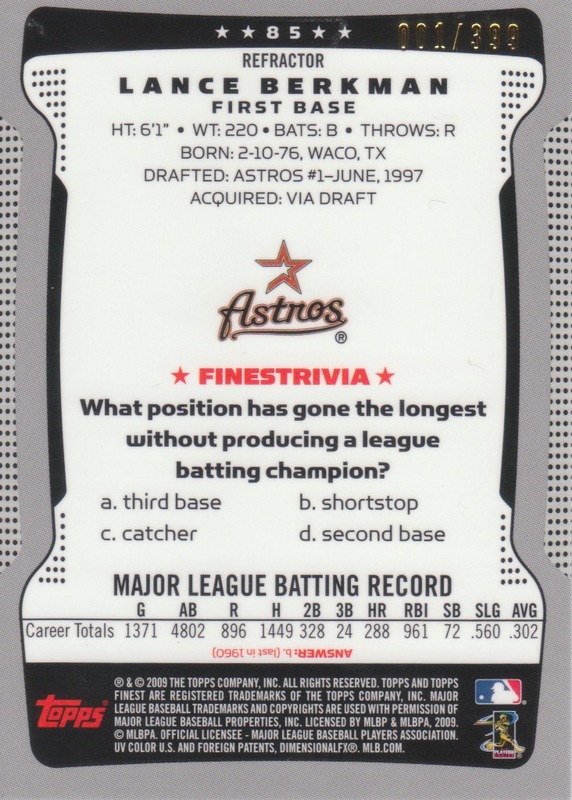 He was a platoon SS-3B for the Astros for much of the 80's, and is a Houston area product as well. He is now a minister at Second Baptist Church in Houston. Another legend as we were waiting in line, multi-Olympic Gold Medalist Carl Lewis, again a Houston native and not-so-great singer. 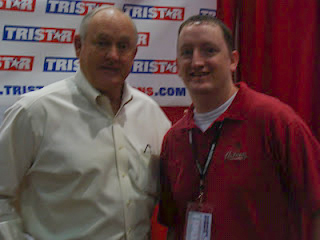 The highlight of the autograph session for me, Nolan Ryan. My wife snapped all the pictures, and she got a nice little candid one while we were waiting in line and he was signing for someone else. Here Nolan is signing his card for me. I was a blubbering idiot at this point, couldn't get a sentence out right without fumbling over words. So the flash didn't go off... but still, Nolan would sign about 30 autographs, then stand up and do pictures for anyone who wanted them, then return to more autographs. He seems to be a bit crotchety in his older age... but when you have 30 year olds mumbling/stumbling over words trying to say "Congrats on the consecutive World Series" which comes out as "a;lsdhg;laksh; ; lkjf;alskjsd Thank you!" then I can understand some annoyance! I hadn't had this post up for 15 minutes, and Derek over at Tomahawk Chopping sent this over... dang I love the blogging community! Thanks Derek! You're the man! On a side note, everyone head over and help him with this contest! Next up was Phil "Scrap Iron" Garner, the 3B on that 1986 team and only manager to ever take the Astros to the promised land, only to get swept by the White Sox, but heck HE GOT US THERE!!! VERY nice guy, funny and was a hoot at the VIP reception later that evening. Kevin Bass had his career year in 1986. A justifiable threat in the lineup and a solid defensive outfielder. He was also the guy to strike out to end game 6 of the NLCS. He does a lot of radio work in Houston while running his real estate investments. Another great guy and very nice. Jose Cruz Sr was always one of my favorites, and one of the names my wife recognizes right off the bad. I think all Houston fans who ever went to a game at the dome remember, "Now batting, number 25, Jose CRUUUUUUUUUUUUUUUUUUUUZZ!" In fact, someone did that right before I walked up, and I asked "Ever get tired of that?" And he smiles REALLY big and says "No way, I love it!" He's the only guy from that 1986 team currently employeed with the Astros, and has been for a long while now. He's survived multiple manager changes and now is a special assistant to the GM. I'm a big fan. I'll start this off by saying that Tristar did a great job of providing a variety of pens for the guys to sign with. Since I was getting all the guys to sign 1987 Topps Tiffany cards, I wanted them all in black Sharpie. All the guys listened really well to my request, except for this guy: Alan Ashby. He just looked at me, kept the blue sharpie in his hand and kept signing. Now I have 17 black and 1 blue autograph. Thanks a lot Alan! Back to you Milo! (Astros fans who remember Ashby on the radio will know what I mean there...) Alan was a catcher for the Astros through most of the 80's as well. He caught Nolan's no-hitter in 81 as well as Mike Scott's no-hitter in 86 to clinch the NL West. If memory serves me right, he also caught Ken Forch's no-no as well. Anyways, a decent catcher for many years, Alan is now in the radio booth for the Blue Jays after being removed from the Astros booth a few years ago. That's Arian Foster. He's pretty awesome and was taking pictures with anyone with a camera. Super nice guy, but I couldn't get close enough to ask him for a shot, so we zoomed in and got one. By far, the two biggest crowds that I saw at this show were for Arian and Brian Cushing. When they announced Cushing, it was like when they open the doors for Black Friday at a Wal-Mart in East Texas, people were crashing in as though it was the last Cushing signing ever. Houston is a football town. Jim Crane: challenge leveled, get people passionate about the Astros again. 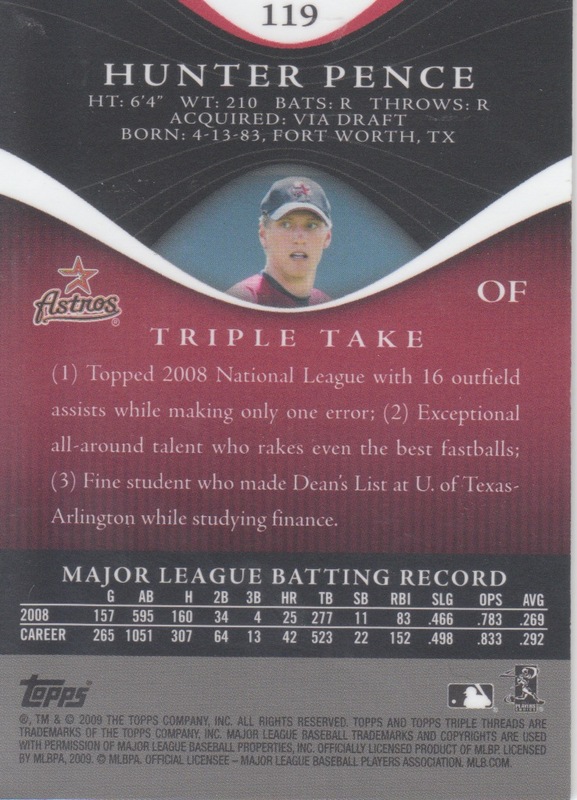 I'll give you 1,000 guess who this guy is (without looking at the roster) and I doubt anyone, even Astros fans, would get it. To say he was an obscure reliever would be nice, it doesn't help that he was in the 1987 Topps Traded set as a Phillie, so his days in Houston didn't last long. But Jeff Calhoun was a reliever on the team in 1986 and if I remember correctly, gave up the losing run to the Mets in Game 6. Super nice guy, reminds me WAY too much of my own dad. When I put his card down on the table, he said "Wow, I'm old, who's this guy on the card!?" He works with Craig at Second Baptist Houston nowadays. Here starts the pictures of day 2 of the show. This is Dr. Death himself, Danny Darwin. A stud reliever and spot started on the 1986 team and one who came via trade with the Milwaukee Brewers. I was the first in line, and I think he was ready to get things moving right along, didn't have much time for chit chat. Next up is Hal Lanier, the manager of the team in 1986. Talk about your nice guys who you wish you could add as a step-grandfather. He conversed freely with whoever would talk and genuinely seemed grateful that he was asked to be there and that the fans appreciated the team. Would have loved to have time to sit with him and hear his stories. He joked at the reception Saturday night that he was working on a book, I REALLY hope that wasn't a joke, I'm sure he's got a lot of great stories to tell! This is Glenn Davis. Most Baltimore fans know him as the bad side of a trade that netted the Astros a few guys by the name of Steve Finley, Curt Schilling and Pete Harnish. But to us Astros fans of the mid-80's, this guy was our Jeff Bagwell. He was the 4-hole hitter with some power to the gaps and he was the anchor of that line-up that nearly went to the World Series. Again, talk about your great guys, Glenn is super active in the community of Columbus, Georgia. At the reception he talked at length about the foster children he helps with his charity as well as those he's personally brought into his home. I think he's one who realizes how greatly he was blessed with baseball and has really put his life back into helping others in a meaningful way. And he was one of the few who made a point to stop signing and pose for a picture. Billy Hatcher is now a coach for the Reds and has been for quite a while. He won a ring with them in 1990 and I'm glad he did. I remember him as a great hitter and speedy defensive CF. Before there was Biggio, we had Bill Doran at 2B for the Astros. In little league, I modeled my play after Bill Doran. He sacrificed his body big time on the astroturf at the Dome. You can tell he still misses the Dome as well, he mentioned at the reception that he hates seeing it in the condition it's in because it was such an amazing place to play ball and hopes something nice is done to it soon. Jim Pankovits was a utility guy and one of those guys you need off the bench in the NL. Tough, dependable and able to get a clutch hit when needed. Jim Deshaies is one of the funniest guys I've ever met. Great personality and I love his work on the Astros TV broadcasts. Great non-sequiter comments and telling insight when needed. Dickie Thon, quite possibly could have been a HOF'er depending on who you talk to, before he was beaned in the face in 1984. It took him a while to get back on the field with confidence and even then he wasn't what he once was. However, he was on the 1986 team and he contributed handily. 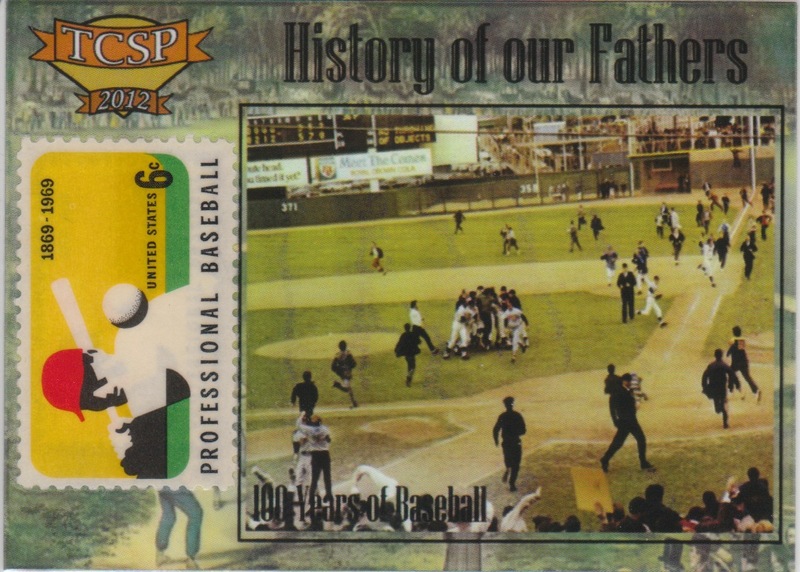 His son is now in the minors and Dickie does a lot of work with baseball in Puerto Rico. Terry Puhl is now the baseball coach at University of Houston-Victoria and stays active in the Houston area as well. 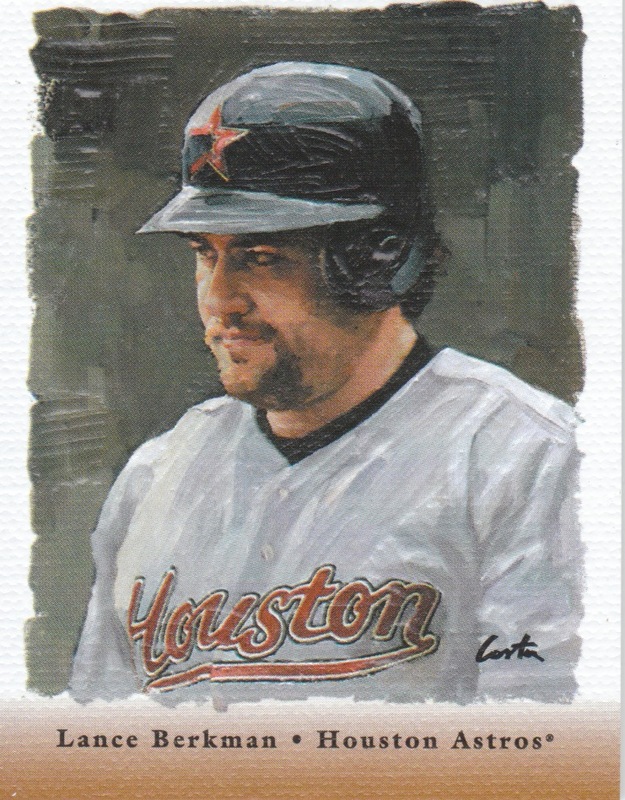 An outfielder who played almost his entire career in Houston, he was a defensive presence and was another guy who was good off the bench against righties. This was the guy I was most shocked and surprised to get to talk to... Bob Knepper. He was always a bit of a loose cannon, and at the reception it was no different. He joked and gave off-the-wall answers to any direct questions. He looked a bit like a mountain man but was just hilarious. He never said what he's doing these days, just that he's still "in the zone". Here's Dickie, Glenn and Danny having a chat. There were a lot of occasions where the guys would huddle together and just chat about old times. I would love to be a wall flower in the room where these guys actually got together and talked about the old days. Finally I saved the best for last. My autograph shot with Mike Scott. After the reception I interrupted a chat he and Alan Ashby were having about their golf swings to get a photo with them. Again, an overall nice guy and in my mind, a legend for that No-No in 86. Many have accused him of cheating by scuffing the ball, and supposedly Roger Craig taught him that pitch, so it's ironic that it was against Craig's squad in 86 that Scott threw the no-hitter to clinch the pennant. They also talked at the reception about how the Mets openly stated that they HAD to win game 6, because they knew there was NO WAY they could beat Mike Scott in a winner-take-all game 7. Game 6 was an elimination game for them. 1986 conjures up conversation of possibly the greatest postseason in baseball history. For all intents in purposes, I would have to be on the side of that argument saying it was the greatest. The drama of the Mets-Astros was met with equal drama in the Boston-Angels ALCS and then of course we all know what happened in the World Series. I do have to wonder though, as a tortured Astros fan, just how well the Astros would have done against Boston in that World Series. 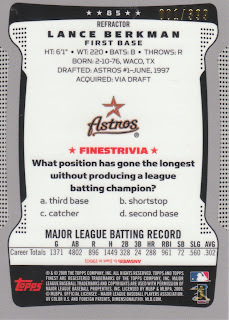 Somehow, I think the Astros would have won it all in 86 if they had gotten by the Mets, but we'll never know. It was great to get the chance to meet all those players, but even better was just spending the weekend with the wife, and getting to reminisce about baseball in the mid-80's... with a guys like Nolan, Scott and Knepper on the pitching staff, and Davis, Cruz and Doran at the plate. I don't know if I'll ever match the experience at a card show again. 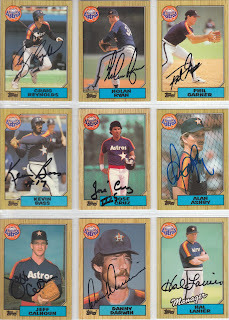 Here's the pictures of the autographs, in all their 1987 Topps Tiffany glory! Tell me that's not awesome! Haha! I hope everyone had a great weekend, and that this week treats you alright! The front is textured as if it was actually painted on there, an AWESOME card and that would be awesome in and of itself if it wasn't for what was lurking on the back! Bogusevic is on the MLB roster and I expect him to make the team out of Spring Training for the first time this year as the 4th outfielder and first bat off the bench. Deshields has the lineage, now he just needs to get his act together and start acting like a major league ball player. He'll get there, and hopefully he has a great career with the Astros. Have a great Saturday everyone, I'll have the second of two Tristar posts tomorrow! One of you isn't expecting this package... I think you'll enjoy it once you get it! It's the freakin' weekend baby!!!!!! This is going to the be the shorter of two posts that I'll be doing regarding the Tristar show. When I went, I didn't have much of a budget to work with, most of what we spent was for the autograph session and VIP package for Christmas. Anyways, my quest for Gypsy Queen was overriding all other purchases. 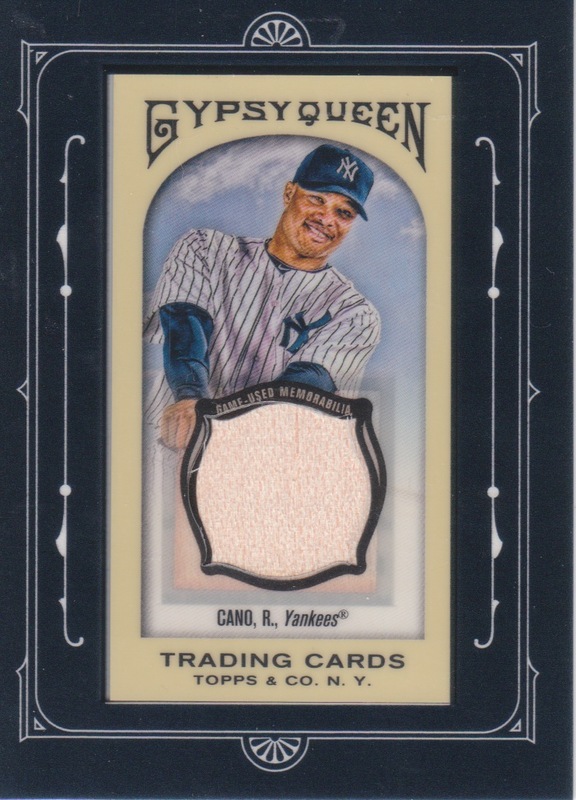 Within 10 minutes I had found the one and only piece of un-opened Gypsy Queen in the entire building. It was a retail blaster and it was $40. Considering I hadn't seen one in months at a Target, and it was highly unlikely to find one again, I went ahead and bought it reluctantly. In hindsight, I shouldn't have, I managed 2 mini's that I needed and one SP for my second set. This blaster (unlike many I opened) was not loaded with a "hit" so I got a stack of base and insert duplicates for my $40, but so it goes. I grabbed the Cedeno from the $1 bin because he spent a majority of his career with the Astros and I didn't have an auto of his yet. All three of the other cards were pack pulls, and are definitely for trade. The one other item I spent a little bit of money on, was a package of the Tristar Hidden Treasures baseballs. I've always been intrigued by this set, as each package contains a signed baseball. The checklist isn't going to blow you away with awesome names, but there are decent names on there, some HOF'ers, some prospects and a fair number of names of guys who had OK but not GREAT careers. Anyways, since it won't fit on the scanner and I'm too tired/lazy this morning to take a picture and get it uploaded etc... I'll just tell you, my autograph ended up being Harold Baines. A good, possibly great (depending on who you're listening to) players who has an outside shot at the HOF as one of the first real pure DH guys in the game. Might be one I hold on to just in case he makes it, or if there's a Baines collector reading this who wants it, shoot me a line and I'm sure we can work out a trade. Good morning everyone... it's been a while since I posted a card, so I figured it was time to get back to doing so... I think I'm planning on doing the Tristar post on Sunday, as I'll have all morning to put a extra huge post together. I did receive an e-mail yesterday that I should be getting my promo box from Tristar within the next day or two. If you haven't already entered the contest, head on over and enter now! Alright, well here is today's card! Well, you can't tell it from the scan, but the front of the card is all awesome and refractor-y. 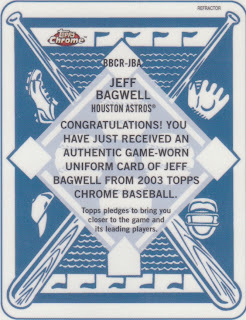 It's from Topps Chrome. 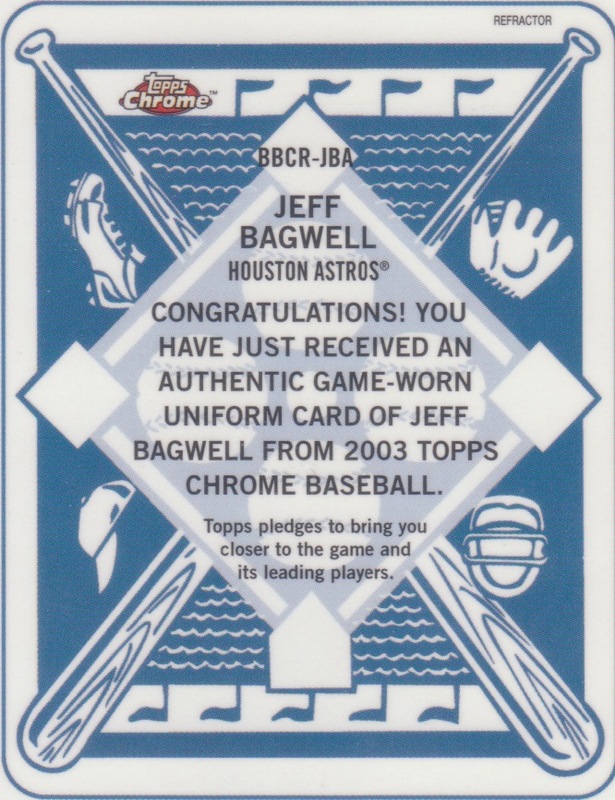 I wasn't collecting in 2003, but apparently back then the Chrome product included jersey relics as well as the autos it's known for today. I really really really like the design of this one, with the retro look of the old game cards. Bagwell deserves more status than a "Fly Out" don't you think??? Anyways, a great looking card and glad to have it! No cards or pictures today... regretfully I'm still not feeling all that great and haven't gotten around to hashing out the details of the Tristar show. Maybe tonight I can sit down at the computer for a while and work through it all. But for today, I had a conversation last night who is a good friend. He's got a bit of a different perspective than I do regarding the hobby, and while I respect it I can't help but disagree. You see, this guy is an authorized dealer and makes his livelihood from selling Topps' and other companies products and he does a very good job at it. The conversation was about 2012 Topps' upcoming release. He couldn't be more excited. I couldn't be more apathetic. I view the Million Card Giveaway, Diamond Anniversary Giveaway and the Gold Rush Giveaway as gimmicks to sell mass quantities of boxes/cases. And I have to admit that these first two promotions have worked amazingly well... for Topps and their dealers. For average collectors? Eh... I'm not so sure. Now as for the "Gold Rush" wrapper redemption promo.... well, it kind of makes me sick to my stomach. We have to send in 50 wrappers, that's pretty much a box and a half worth of packs (about $90) to get a 5 card pack which MIGHT contain an autograph. And here's the kicker, you have to get those packs ripped and submitted by a post-mark date of February 29th. So, go spend a lot of money and spend it FAST. Does anyone else not see the marketing gimmick veiled in this promo? The first card up there, I got from Chris R. who had posted it on the BaseballCardsRule Facebook page for trade. I picked it up for the wife, it says on the back that some guy named "Denzel" wore it... we'll all hope it's Denzel Washington and go from there... Second row: the final two cards from my loot at the Topps Diamond Giveaway site. I already had the Wallace previously, however I traded it to Trey, as he needed it to complete his set, and I had already picked up a second one via code. It all worked out well for both of us. Final row, alright Dennis, this is where I draw the line. I make a simple deal with you where I send a bubble envelope with a few goodies for you, and then you send over a 200-count box filled with all kinds of craziness... 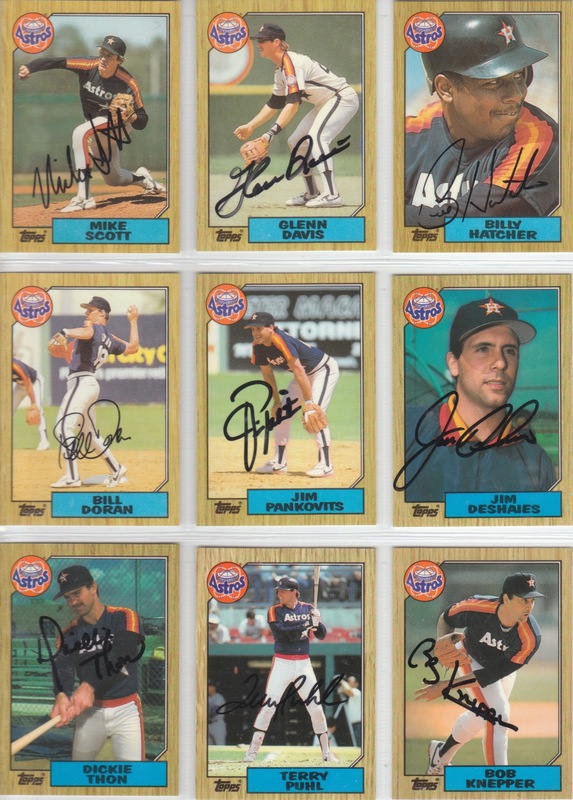 The Oswalt and Castro were the agreed upon part of the trade, then I find there are dozens of Astros (including many Biggio and Bagwell cards I don't have!) and even some football cards! Dennis, you have out-done yourself this time buddy. Everyone head over to Too Many Verlanders and find a way to make a deal with Dennis. He's a great guy and a great trader! As for the 4th package, I'm not going to reveal that one... other than to say this one will be barnstorming it's way across the country again soon! 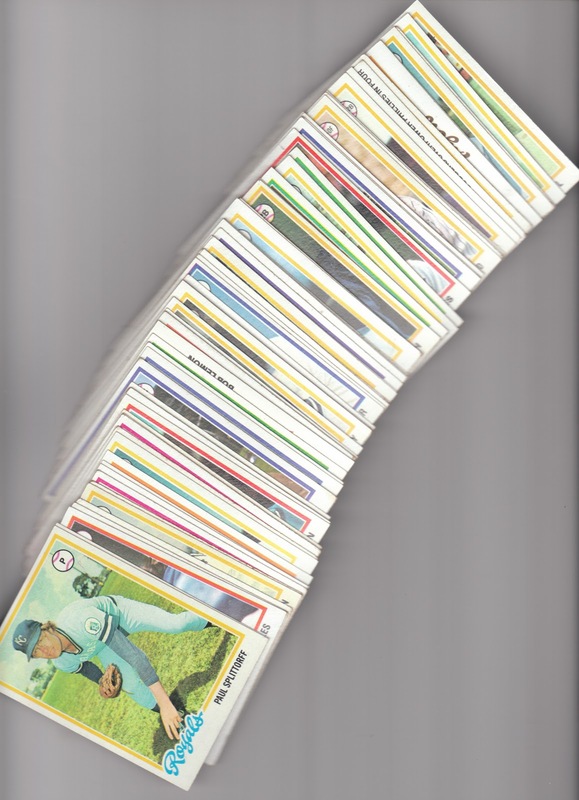 Card show post to be put together in the next day or two... still trying to catch up on sleep and get over this cold I picked up over the weekend. Have a great Tuesday! The highlight for me, being a former grounds crew member of the Astros, is the dirt relic card in the upper left. How freakin' cool is that??? Anyways, another great trade from the legendary Mr. Doon! Thanks! Next up is a highly anticipated package I received from COMC.com. I turned a Joe Panik auto from 2011 Bowman Sterling, into what you see below... freakin' awesome!!!! That's 7 GQ mini relics and 2 full sized relics. Three Hall Of Famers in there including the recently voted Barry Larkin. I couldn't be happier. I'm more than half way done with my mini-relic set, and I have a good start on the full sized. I also picked up the last two SP's that I needed for my personal base set, so that is COMPLETE! YAY!!!! Finally, I made a trade with a fella on BaseballCardsRule.com's facebook page. I don't remember his name (his screenname is different from his real name so I don't quite remember who he was). 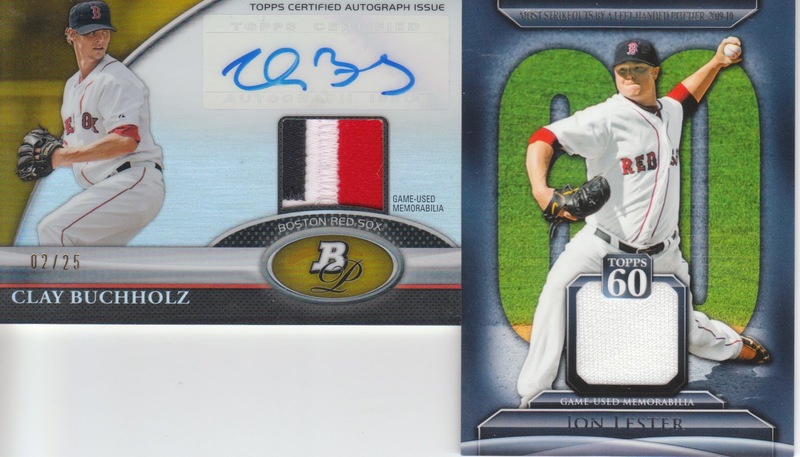 Anyways, he saw a couple cards in my trade bait that he wanted, and while he didn't have any Astros I went ahead and refreshed the trade bait a bit by picking up a couple nice Red Sox cards to add to the trade bait! Always seems to be a bit easier to find Red Sox trade partners! Can't wait to get to my pictures and pick-ups from the show! Have a great Monday everyone! It's been a while since I ran a contest, and Tri City Sports PL has provided me with an opportunity to run one! I've been selected to receive a free promo box of the 2012 Diamond Cuts product. This box will contain at least one cut autograph numbered /5 or less, as well as a /50 stamp card from the subset "History of Our Fathers. More information about the set can be found here. Once again, Tri City Sports PL has promised some big names and special features in this product. 1) Please head over to the Tri City Sports PL website to register as a member. In order to be a winner, and for Tri City Sports PL to mail you your card, you must be a registered member of the site. So please head over there and register! 2) You get one guess, and that guess must be posted as a comment on this blog post with your username from the Tri City Sports PL website. 3) You will be guessing the TEAM (city listed on card) and DECADE OF DEBUT (1930's-1970's) for the player who is pulled as my cut auto in the promo box. For instance, if I pull Mickey Mantle the winning guess would be NEW YORK (AL) - 1950's. Baseball-Reference.com will be used to validate year of debut. Team will be the team indicated on the face of the card, may not necessarily be the team the player debuted with. For instance, if Nolan Ryan is the cut auto pulled from the product and he is shown as a Ranger, the correct answer will be TEXAS - 1960's. IF someone guesses this correctly, you will receive via mail, a cut auto of your own numbered /5 or less directly from Tri City Sports PL. 4) Only one entry per person, and once a TEAM-DECADE combo is guessed, no one else can guess the same combination, duplicate entries will be ignored so the first person to guess the combo will get the prize based on order of comments left. 5) In the case that no entry correctly guessed the TEAM-DECADE combo correctly the main prize will not be awarded, however all entrants will be entered into a randomization for the /50 stamp card that is pulled from the box. All entries will be entered regardless of whether they got part or none of the TEAM-DECADE combo correct. The randomization button will be hit three times and whomever is listed in the #1 position at the third randomization will be the winner of the /50 stamp card. REPEAT: YOUR ENTRY MUST INCLUDE YOUR TCSP WEBSITE USERNAME & YOUR GUESS... IF THERE IS ONE WITHOUT THE OTHER, YOU ARE DISQUALIFIED. Entries will be allowed up until I receive the box in hand, at which point I'll turn off comments on this post. CONTEST ENTRANTS: After posting the contest yesterday, Tri City Sports PL has read the post and asks that all entrants must be registered members of their site/forum. So please head over to Tri City Sports PL and register. I'm not too happy that they added a rule to the contest after I've already got 26 entries, so my personal feeling is that I will not disqualify anyone who doesn't go register immediately. However, if you are the winner, you will need to go register with the site before they will ship your prize. There is nothing to registering and as a registered member, I can honestly say there is no spam. They send out a periodic (quarterly maybe?) update via e-mail about their products and that's about it. Alright, so here's today's card! 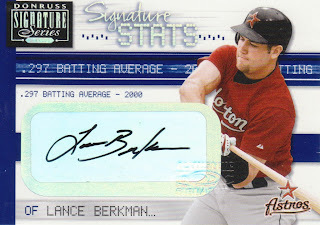 This is Berkman's base refractor from 2009 Topps Finest. It's a freakin' sweeeeet card to hold in person. The refractor-y nature of this card just shines and I gotta say that I really like what Finest does from year to year, just not a huge fan of the price of the boxes. 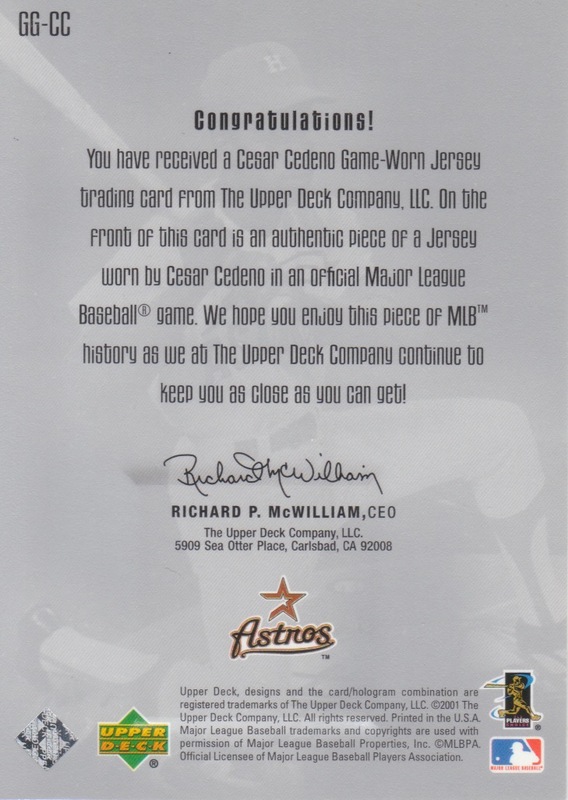 Anyway, another cool part about this card is the serial number, 001/399! The first off the line! Very cool! Anyways, have a great Thursday! Hey everyone, no card today... just wanted to put down in electronic ink, the goals that I have for the Tristar show this weekend. I am hoping if I write it down, I'll stay a bit more focused and not blow my budget in the first 20 minutes! 1) Pay attention and get all the autographs that we paid for in my package. There is an autograph schedule and the guys only sign for a certain amount of time each. This will cut down on my ability to search through bargain boxes, dime boxes, etc, but I have 18 guys I'm getting autographs of and I need to stay focused to make sure I don't miss any! 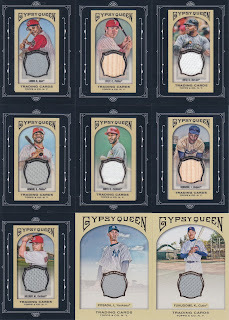 2) Gypsy Queen Mini's & Bronze Borders - Here's hoping I can find a dealer who has a nice little stockpile I can pilfer at a very low cost. 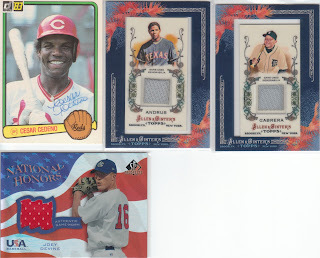 I would like to knock out a big chunk of my mini needs and possibly finish off the Bronze Border parallel set. I'm also going to be on the lookout for the green border complete set, as I'd like to put that together without having to trade/buy each one. I'd rather go complete set on this one. 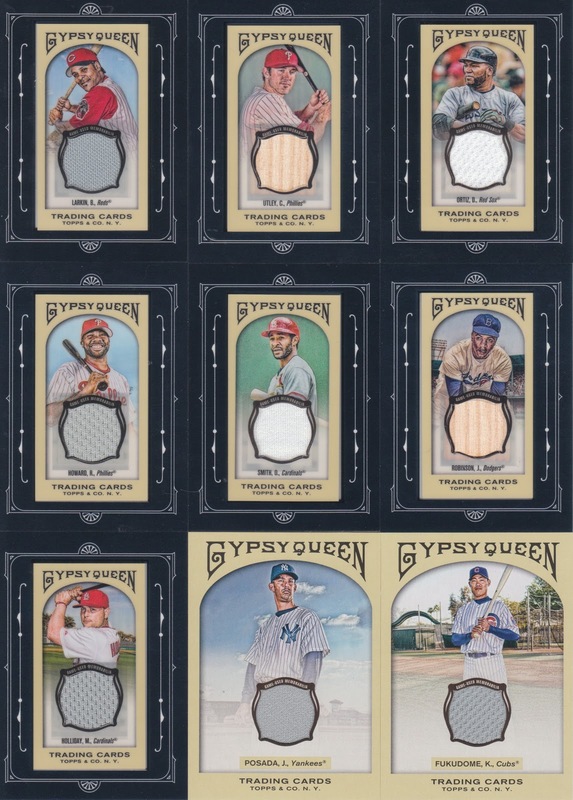 3) Gypsy Queen Mini-Relics & Relics - Since I've decided to try and put these two subsets together, I want to try and see if I can find any of them at a discount. The names I have left in the mini-relics are some of the bigger names (especially Ruth and Gehrig) but I'm hoping that I can find most of the others and see if any of them are in the cheap relic lots that are prevalent at this show. 4) 1978 Topps - This is the lowest priority goal. If no Gypsy Queen loot can be found, I know there are a couple of booths that have binders full of 78's that I can go through and check off my want list. I know I have a chunk of 78's coming from a trade so I hope those get here in time for me to check them off my want list. If not, I may not be able to hit up this want list at all during the show. 5) Don't get fooled. Last year I made a bit of an error by trusting a dealer a little too much. I need to make sure that I check market value (not book) when considering a purchase. I tend to get caught up in the flurry of it all and I need to relax, and in most cases realize there isn't exactly a line of people waiting to buy the thing I'm considering momentarily. Nothing wrong with grabbing the phone, checking COMC and/or eBay to see what is out there. And if I do miss out on it, there's most likely another dealer around the show somewhere who probably also has the same thing. It will be rare that there's a "one-of-a-kind", miss it and it's gone forever kind of deal at these shows, despite what they imply in their mini sales pitches as you look through their stuff. 6) Finally, I'm taking my camera, my goal is to do a sort of photo essay of the trip, as well as get my wife to snap pictures (from whatever distance is allowed) of me getting my autographs with the 1986 Astros. Hopefully next Monday or Tuesday, I'll have a pretty nice big wrap up post. Have a good day everyone... it's Wednesday, halfway to the weekend!!!!! This is the classic case of having something HUGE that I'm anticipating on Friday (going home to Houston for Tristar) that this week is going to drag on forever, however it's already Tuesday so one day closer to the 8 hour drive back to H-town! 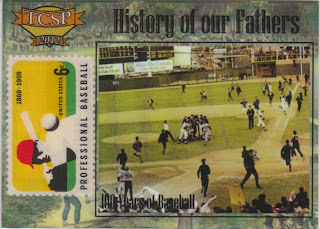 Upper Deck really did know how to design awesome looking cards. 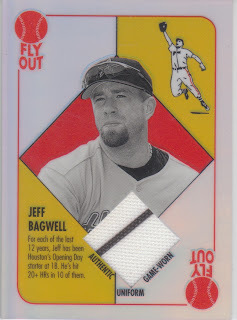 I must say, the shadow outline against the grey background really makes the player standout on the card. And look at that uniform! IT's just awesome looking, they picked a great picture. Any bright orange swatch is automatically going to get my attention. Cesar won the Gold Glove from 72-76 while patrolling the cavernous Astrodome. Had he been on a major market team during those years, I think he'd be one of those guys who people try to make arguments for the HOF based on defensive stats, speed and contribution. I never saw him play in person of course, but I've been told he's one of the fastest Astros ever, that he could just fly around the bases. Anyways, he's back in the fold as a coach at the Astros Single A team this year, and it'd be cool to see him rise through the coaching ranks and maybe at least be a 1st base coach or outfield instructor for the major league team somewhere down the road. 2012 Tristar Collectors Show - Houston, TX - BLOGGER MEET-UP! Hey guys! Well I've talked it over with couple people, and I'm going to go ahead and propose a blogger meet-up before the Tristar Collectors Show in Houston coming up this Saturday the 21st! 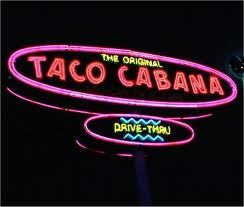 We'll be meeting up for breakfast at 8:00am at the Taco Cabana at 8101 Main Street, Houston, TX 77025. If you're going to the Tristar Show and are going to be around on Saturday, it'd be great to meet up with you before the show. Doors open at 10am, so we'll have an hour or two to sit around, discuss cards, possibly trade some cards if people are up for it. Not too sure how many of you all will be there, but if you think you can make it, leave me a comment so I can e-mail you my phone number in case you have a hard time finding either the restaurant or our group. I know there will be at least two of us there! Free "The Daily Dimwit" stickers will be available! (Ok, I know that's not much of an enticement, but I'll have them with me if you really want one!!!) Haha! I got so wrapped up in the Texans-Ravens game and subsequent hanging out with the wife that I totally forgot to post yesterday... I know you were all very upset... I'll make up for it today with another card from my PC of Hunter Pence. 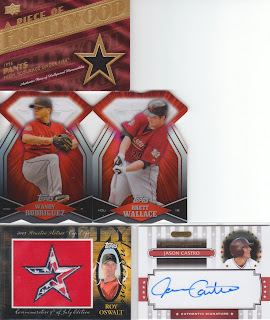 Triple Threads is just one of those products that Topps continues to hit out of the park. I've never opened a pack myself, but someday! So, as for this card, well... wow... Nice auto at the top, sticker autos usually earn negative points for me, but on this card I'm neutral toward it. Bam Bam, not sure I ever knew that was a nickname for Hunter, but let's start with the B's. A solid swatch of DIRTY pinstripe! 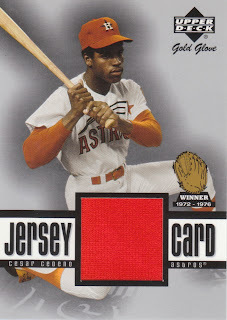 Maybe Topps reserves all the dirty swatches for the higher end stuff! Maybe thats why everything else is such a clean piece. Very awesome. In the A's we have the usual bat piece(s) and then the M's are a sweet piece of patch. After studying it a bit, I've determined that the black patch must be from on of the letters on the back of his jersey, just no clue which one! 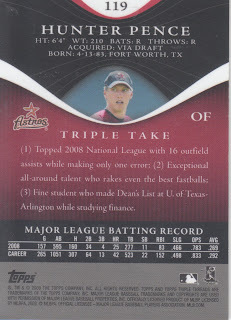 Anyways, even though Hunter is a Philly now, I'll keep collecting his Astros hits for sure. I hope this week is better for all of you, and for myself. Work should calm down a bit and hopefully I don't go around playing bumper cars with anyone else.